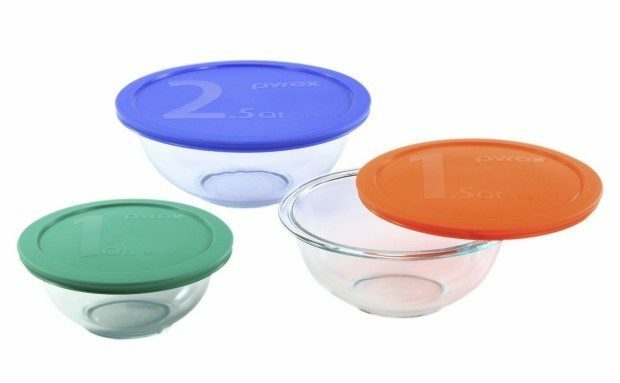 Pyrex Smart Essentials 6-Piece Glass Mixing Bowl Set Just $13.38! You are here: Home / Great Deals / Amazon Deals / Pyrex Smart Essentials 6-Piece Glass Mixing Bowl Set Just $13.38! Head over to Amazon and order a Pyrex Smart Essentials 6-Piece Glass Mixing Bowl Set Just $13.38! Get FREE shipping if you are a Prime member or on orders of $35+!